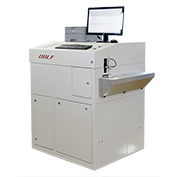 Our spectrometer models differ with regard to the number of matrices and elements that need to be determined. All of our systems are characterised by excellent long-term stability (vacuum optics), low operating costs (patented spark stand with minimised argon consumption) and low maintenance needs (e.g. automated purging of the spark stand). The number of analysis channels our systems provide is specially tailored to suit customer requirements. Each device is separately calibrated using certified reference materials. 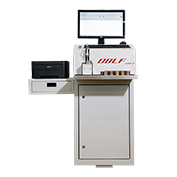 The MVS 1000 is suitable for versatile analytical requirements such as multi matrix applications. The cost-efficient device always detects the complete emission spectrum by means of sensor lines. A high number of element channels and extensions are easy to implement. 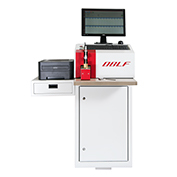 This compact spectrometer analyzed all relevant elements for one metallic matrix. 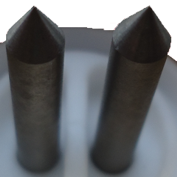 As detectors photomultiplier tubes are used. 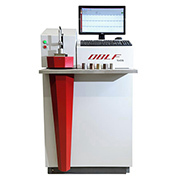 The VeOS is suitable for versatile analytical requirements such as multi matrix applications. The device always detects the complete emission spectrum by means of sensor lines. A high number of element channels and extensions are easy to implement. b. the possibility of inclusion analysis. For quickest possible analysis times and raised sample rate. Two burn spots within one measurement.